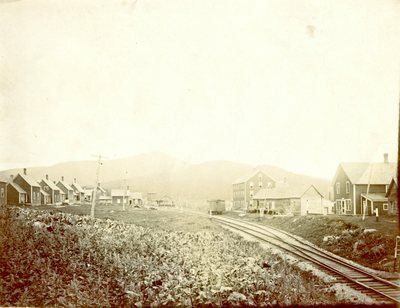 A black and white photograph of buildings along railroad tracks. A handwritten note on the back reads, "Lowelltown, Me." No date.